Today I have the honor of hosting a new author who is launching her debut novel, Not Abandoned. She hits on a pretty hot topic as well as one that is difficult to discuss and also one many people don’t want to think about or discuss. MacKenzie Morganthal isn’t afraid to talk about it. Today I’ll be sharing about MacKenzie, her book, and an author interview. Four different lives…are altered forever. Haley, a police officer in training, is thrust right into the heart of an organized human trafficking ring when a family friend is mysteriously abducted. Once the problem hits even closer to home, Haley will stop at nothing to see justice prevail. With no way out once trapped inside the trafficking ring, is there any hope for rescue? When trouble arises and Caryn’s life is compromised, will she be able to survive or will help come too late? Strength is tested and trust is broken in this mystery of seemingly impossible rescue and God’s loving redemption. After hearing those words, human trafficking, these girls will never look at their lives the same way again… and neither will you. Hi, MacKenzie! Welcome to my blog today! I’m excited to have you here today. Thank you for having me here, Faith! I’m very glad to be here. I see from your bio, that you were homeschooled. What was your favorite part of your school? One of my favorite parts was probably the fact that homeschool gave me lots of opportunities to expand upon my love for creativity. I first started writing because of a school assignment my Mom gave me in 4th grade that was to write a short story based on what I was learning in history. I had no idea how to write the story at first, but my Mom kept encouraging me to do it, and after it was completed, I fell in love with writing! I’m so thankful that my Mom was willing to take so much time to homeschool me for eleven years. That is so cool! I’m glad your Mom encouraged you! Do you have any siblings? If so, how many? Yes, I do. I have a twin sister and a younger step-brother. Ooo! Twins! How fun! Younger brothers are fun, too. 🙂 How did you come up with the idea/inspiration for your book? God certainly deserves all the credit for “Not Abandoned”! The inspiration came when I heard an interview with an actual human trafficking victim. 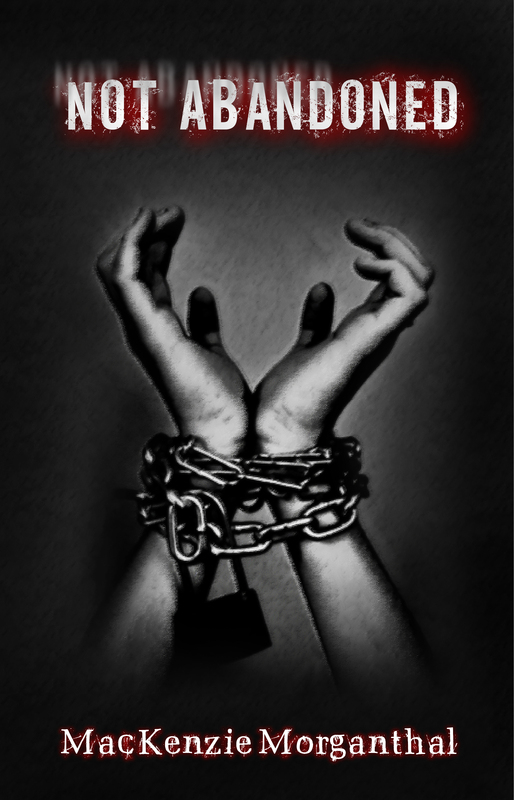 I had known about human trafficking for awhile before I started writing this book, but when I heard this interview that’s when God really placed the desire in my heart to bring awareness to this atrocity. I felt God calling me to write a book dealing with trafficking, and so that’s when I started writing even though I still did not have a clear idea of where the story plot was going. It was really cool for me to get to see God completely take over and guide the story. Even half-way through the book there were some twists to the story that surprised me just as much as they will the readers! In addition to writing, music is a huge passion of mine. 🙂 I love playing guitar with my worship band at church, and writing worship songs. In the past few years I’ve also been able to participate in many activities with the creative/performing arts, and that has become one of my favorite things to do. Performing sign language to songs with some added choreography is one of my favorite aspects of the creative arts. I’ve never played guitar, but music is a huge passion of mine as well. Does God play a part in your writing? How much? 3.Fantasy or Contemporary Fiction (both clean)? 4. Classical or Christian Music? Thank you for being a part of this blog tour, Faith! 🙂 I so appreciate it!! I have plans to read this book!